The vulnerable children in our community are all too often overlooked or invisible. In an attempt to recognize the people or organizations working to elevate the welfare of these children into the consciousness of our community, local nonprofit Amara, created the “Shining a Light” Award. We are proud to announce that POC’s policy director, Laurie Lippold, was chosen by a panel of Amara board and staff members as the recipient of the first ever “Shining a Light” Award. She accepted the award amid a standing ovation from attendees, many of whom are personally familiar with her work. “During deliberation, the panel specifically noted Laurie’s indefatigable approach to her work, her priceless optimism and dedication, and her respectful persistence. By honoring Laurie as our first recipient, we have set a high standard by which all future selections will be measured,” said John Morse, Amara’s Executive Director. After remarks by Representative Ruth Kagi, the award was presented by Leasa Mayer, Vice President of the Amara Board, during Amara’s first ever Amara Soiree at Teatro ZinZanni. The event – entitled “A Family Affair” – drew community members from around the region to enjoy an evening of stories, amazing food (courtesy of Ethan Stowell) and entertainment. Throughout the evening, guests heard from children who had found their forever families with the help of Amara, and learned about an exciting new program that will mitigate the impact on children who are abruptly removed from their homes. POC would like to thank Amara for recognizing Laurie’s contributions to the child welfare community, but most importantly, for all of the work they do to improve the lives of vulnerable children and families in our community. About: Amara is a full-service foster care and adoption agency serving Western Washington that connects children in foster care with loving, adoptive families. 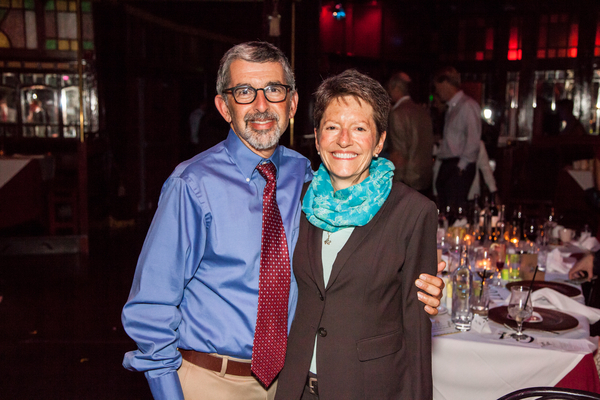 Image of Laurie Lippold and her husband, Steve Gelb, by Lauren Shelzam of Z Photographie.